Force360 Graphex Gloves Have Arrived! Force360 Graphex Gloves have finally arrived! 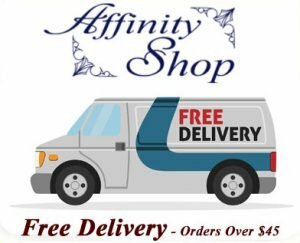 I just wanted to take the time to let people know that there is an amazing new range of gloves available here at Affinity Shop. The Force360 Graphex Gloves are insane! These Gloves offer amazing performance and durability! Carbon Fibre Graphene Gloves that offer cut performance we have never seen before. These Gloves feel really nice and offer loads of safety features and hand protection. The Force360 Graphex Gloves are going to be huge! We are just in the final touches of getting these products on our website for purchase. But if you want to get in touch directly we will be more than happy to show you what is available and provide you with great prices! As soon as we have our hands on images to bring them online, we will be watching them sell fast! Science and technology have come together in the Work Safety Hand Protection area! Graphene Carbon Fibre Technology will be an industry leader and game changer! These gloves out perform pretty much everything else on the market in the cut testing done so far! You can view the whole Range of Force360 Graphex Gloves Here! New Graphex Gloves look amazing and seem to be a cut above the rest! Insane Safety Ratings and Blade Protection. Try them out for yourself to see how they could perform for you in your work situations. Get great deals on the Graphex Gloves Contact Us Today! Check out the Force360 Graphex Work Gloves Website Here.